Advanced persistent threat (APT) is a military term for a prolonged and targeted cyber attack in which an attacker gains access to a network and remains undetected for an extended period. The intention of an APT attack is to monitor networks activities and steal the data and not to cause damage to the network or organization. 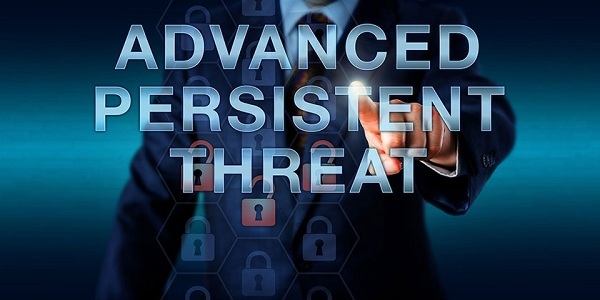 Advanced Persistent Threat (APT) are attacks that gain an unauthorized foothold for executing an extended, continues attack over a long period of time using a variety of tools to achieve a single and specific malicious objective. Mostly APT attacks target organizations in sectors such as national defense, manufacturing and the financial industry, as these organizations deal with high-value data, including intellectual property, military secrets, and data from governments and enterprise organizations. The goal of most APT attacks is to maintain ongoing access to the targeted network rather than to get in and get out quickly, because a great deal of effort and resources usually go into carrying out APT attacks, hackers typically target high-value targets, such as nation-states and large corporations, for stealing information over a period. How does Advanced persistent threat (APT) attack work? APTs take a sequential approach to gain and maintain ongoing access to a targeted network. 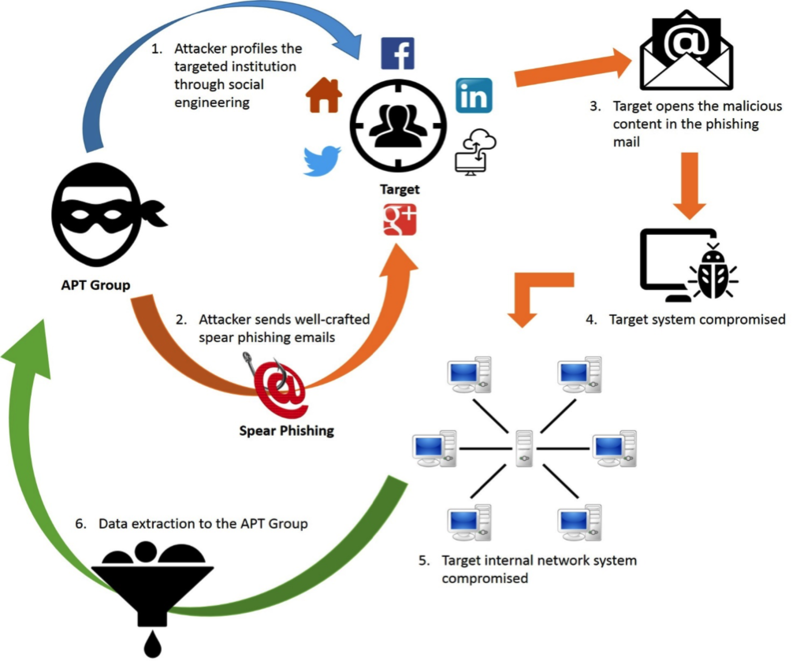 First to gain access: APT groups gain access to a targeted network by targeting systems through the internet, via spear-phishing emails or via an application weakness with the intention of leveraging access by inserting malicious software into the network. Gain a foothold: After gaining access to the network, the malware uses their access to do the further examination, as well as to begin exploring the malware they’ve installed to create networks of backdoors and tunnels so that they can use to move around unnoticed. Then gain even greater access: Once inside the targeted network, APT malware may use such methods as password cracking to gain administrative rights, so they can control more of the system and get deeper levels of access. Later it moves laterally: Once the malware has breached their target systems, including gaining administrator rights, then move around the enterprise network at will. Additionally, they can attempt to access other her secure areas of the network. Next, take the data: The attackers transfer it to their own system. They then remain until they’re detected: The hackers can repeat this process for a long period of time until they’re detected. Unlike ordinary cyberattacks, advanced persistent threats ( APT) are carried out thru methods that have been customized to the target rather than with general tools which may be better suited to target a large number of victims. They’re not hit and run attacks—once a network is infiltrated, the perpetrator remains to attain as much information as possible. They’re manually executed (not automated) against a specific mark and indiscriminately launched against a large pool of targets. They often aim to infiltrate an entire network, as opposed to one specific part. Advanced persistent threat exhibit some characteristics reflecting the precision of the planning and coordination necessary for high-value targets. Most APTs are carried out in multiple phases, reflecting the same basic sequence of gaining access, maintaining and expanding access, and try to remain undetected in the network until the goals of the attack have been achieved. An advanced persistent threat is identified by their intention to have multiple points of entry, which allows them to have the access even when the attack is identified, and a counter-response is triggered.